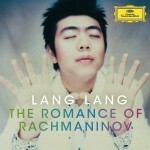 I'm sure that Lang Lang is a great pianist, but his album covers creep me out and keep me from checking out his music. As much as I love Herbie Hancock, I've avoided his collaborative works (River, The Imagine Project). I've not checked out Joshua Bell's recordings. I'm not a huge fan of vocal music but for some reason I still want to hear a Wagnerian Opera, just to get it over with.